I’m still working on story edits at the moment but feeling happy with progress, so I thought I’d tell you a little bit more about the project close to my heart, my new novel due out as an e-book in December entitled ‘Reaching for the Stars’. So what’s it all about I hear you cry...? Scottish celebrity chef Finn McDuff is media stalked and disillusioned after winning his third star and losing his third wife, and decides he’s had enough of all the food campaigns, the TV cookery shows, the constant frenzy surrounding his private life and, after giving up all his accolades and closing down his restaurant, he disappears into a self-imposed exile. With the enfant terrible of the kitchen missing, two rival newspapers, having lost their media meal ticket, begin to compete against each other to whip up further public curiosity in the missing chef. Raine Sanderson, a journalist at The Thistle, who fell hopelessly in love with the bad boy chef during their first interview, wants to be the one to write his biography. Ross Campbell, a reporter at The City News, sets out to boost readership along with his own ego by instigating a massive man hunt. To help with their campaigns they each recruit the help of Anna James, a chef whose tragic past and unresolved issues are intricately intertwined with McDuff’s. Love him or hate him, everyone is out looking for Chef McDuff. Who will find him first and whose side will you be on...? 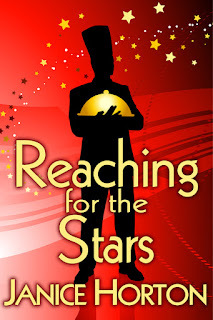 I’m planning to launch Reaching for the Stars on Wednesday 14th December and will be organising a fun filled day of party blogging (more news on that soon - and I’d LOVE it if you could take part!) and I will be following this up with a Blog Tour right up to Christmas Eve. Wearing the same champagne-soaked Armani suit he had been in for the past fourteen hours, Finlay McDuff was slumped in an armchair inside the Balmoral Hotel, Edinburgh, on a bright January morning. He was reading about himself in the newspapers and reflecting on why, after finally achieving his life’s ambition, he should be feeling so utterly miserable. ‘Bad-boy chef wins three Golden Stars,’ declared The City News. ‘Infamous chef wins third star in Edinburgh,’ reported The Scotsman. Finn lit a cigarette and groaned. His blood-red eyes, set in dark hollows beneath heavy lids, looked as though they hadn’t ever closed during the years he had been chasing those coveted rosettes. The macaroons, as the French liked to call them, the ultimate symbols of gastronomic success. Only what use were they now? He had put ambition over love: pride over marriage: his ego over his emotions. Three sins for three stars, he told himself. He longed to sleep. Not that he could sleep. Not since Gina had left. Not since she had got on that plane back to Italy and disappeared from his life. It had been three weeks and three days and he’d heard nothing from her. No phone calls, no letters, no emails, no requests for money, and no demands from her lawyer. It wasn’t like her. Gina made a point of demanding and now she’d stopped, it was driving him crazier than her constant whining ever had. A nervous young waiter approached him from across the foyer. Finn searched for an ashtray while his deposits threatened the Balmoral’s marble floor. ‘I’m a-afraid we don’t have any ashtrays,’ stuttered the waiter. Finn took off a shoe and used it instead; further jeopardising the hotel’s clean air policy. He cast his mind back to the last time he had seen his wife. It had been ten o’clock on Christmas Eve, when she had stormed into his restaurant and had screamed at him over the passé in a mix of Italian, Scottish, and English, while tears poured down her face. He remembered the restaurant being excruciatingly quiet as she had served her ultimatum. He had been tearing herbs onto a plate of foie-gras and had looked up to see if she was serious. In full view of his diners, she had strutted back and forth with her nose and chin raised provocatively, her dark eyes fixed firmly upon him, her perfectly manicured fingernails strumming her thrusting hips, while one Italian leather shoe tapped the terrazzo-tiled floor. Everyone in the restaurant had waited open-mouthed for his response. But he did what he was trained to do under pressure; he cooked. Gina, having interpreted his reticence as indifference, had pulled at her finger and thrown something down onto the passé in front of him. It was her wedding ring. To his disbelief, it had landed straight in the foie-gras. All friendly blog comments and ‘follows’ encouraged and appreciated! I'm hooked! Can't wait for launch day! Thanks Melanie - I'm excited and nervous all at the same time! Kenneth - thank you, yes, I love my main character's name too. It's so important to have the right name, don't you think? I loved the name of your main character in 'Sweet Ophelia' btw but I'm not going to disclose what it is, so that people will have to download your book to find out! The number 3 sounds most ominous here! Poor man - I feel sorry for him already! then again maybe Gina had good reason to leave him! I love imperfect characters who are full of angst. Perhaps I am jumping the gun...will have to wait and see. Sounds really good! Good luck with the launch. A new book is born.... long awaited and I can't wait to get my hands on it! Congrats!!!! Can't wait, Janice - I love the excerpt and Finn! You've certainly whetted our appetite, Janice! Hope it's not too long. As a former chef, this looks fantastic!! Can't wait for the launch. Sounds good, hope you're scribbling like mad! Kitty- observant one - or should I say three! Niamh - spot on, you won't be disappointed! Anne - this is so the book for you - being an ex-chef and I'd so love to know if you liked it! 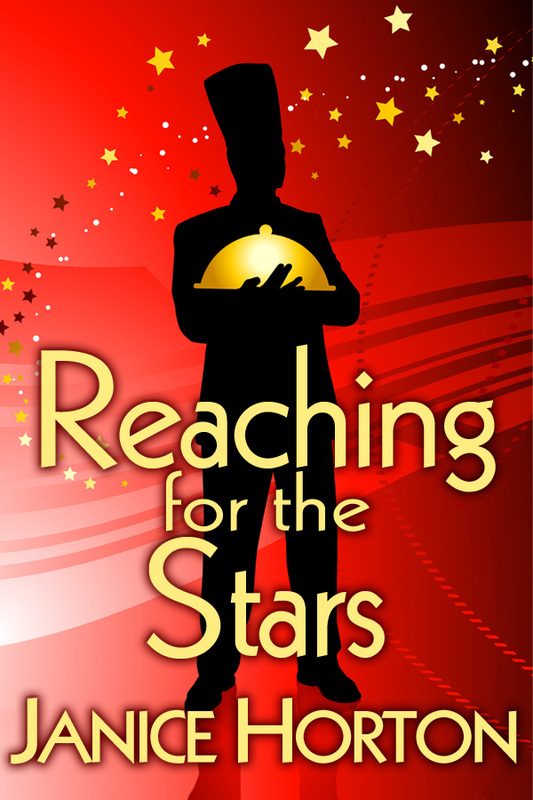 Re Pauline's comment about buying 'Reaching for the Stars' with just 'one click' - I will be looking for readers and reviewers during launch month and 'Reaching for the Stars' will be launched at a special e-price for a limited time only - so don't be shy! Love the idea of 'behind the scenes'. Keep us posted!